Are you ready to get fit and tone up in a fun, exciting way that will change your body fast? Are you looking for a way of training that you will enjoy and help to build your self confidence? Want to learn boxing but don't know where to start and are worried about the safety aspect? Does the idea of a huge, cardio-box style group class bore you? Would you prefer some personal attention? To be willing to train at our EXCLUSIVE, members only private training studio in Mt Eden, Auckland. A huge desire to change your body once and for all. To be ready to invest in yourself. To be an inspirational role model to your children. To contribute to the amazing, friendly, supportive atmosphere that we currently have. 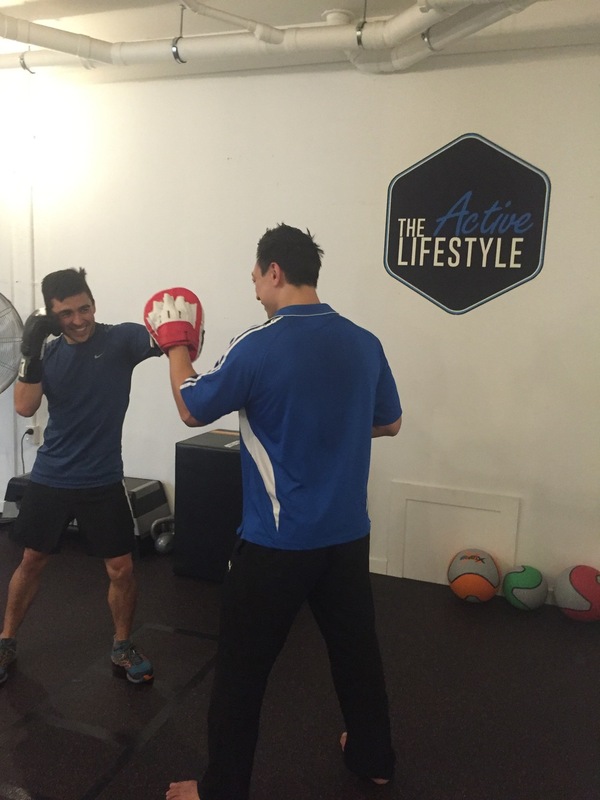 "Boxing at The Active Lifestyle is a fun, fat burning experience. This is so much more than a big cardio-box combat style class - you receive individual instruction and tuition every session so you will actually improve your technique, reduce your risk of injury, and speed up your results." Fill in your details below and we will contact you to get you started! If yes, where did you do / are you currently doing personal training? Semi-Private boxing sessions at The Active Lifestyle are FUN, high intensity interval (HIIT) training sessions, scientifically designed to maximise your fat burning and quickly improve your fitness, getting you results fast. Still not sure? 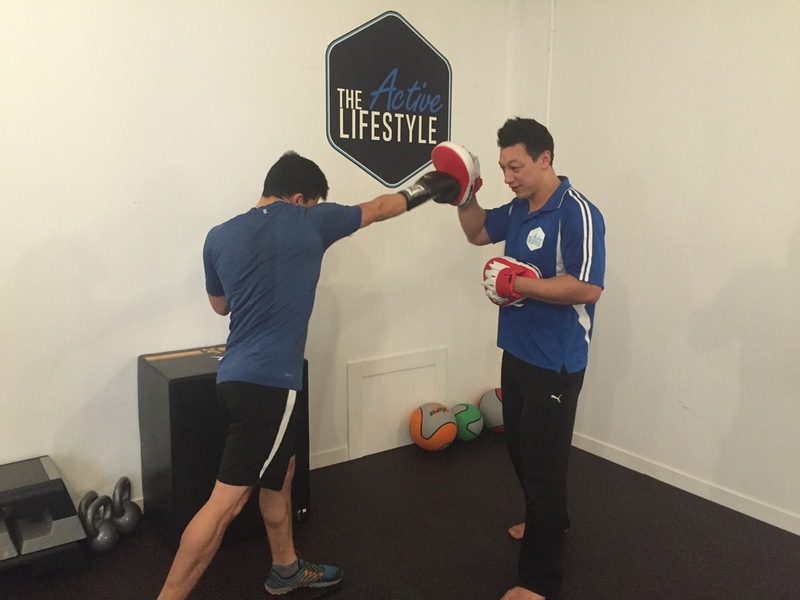 Learn why Boxing at The Active Lifestyle is different! Our boxing training sessions are unique and we are very proud of them! They are unlike any other small group boxing training sessions in Auckland, so you really need to come and try them out for yourself. We use high intensity interval training (HIIT) techniques to maximise your fat burning results. You will be working with a qualified coach and trainer, not hitting pads held by someone else in the session. Sessions are strictly limited to 4 people, with no exceptions. Even if you have never done any boxing before we will teach you. This is NOT an aerobics class where you are simply punching the air in front of a mirror. Click the blue headers below to expand the answers to your questions. That's completely fine - even if you are a complete beginner we would love to teach you! All of our boxing sessions are designed for you - we teach proper technique and movement right from your very first session. There's nothing to be scared of, we will help you every step of the way! We use our education and experience to motivate and encourage you. Remember, everyone starts as a beginner! Is boxing training a good workout for burning body fat? Absolutely! Boxing is one of the best ways there is to burn body fat! We use high intensity interval training (HIIT) techniques which are proven to be the optimum choice for burning body fat whilst maximising your use of time! You will see improvements in your fitness levels after just a couple of sessions and even better, you will continue to burn body fat for hours after the training session! Boxing sessions with The Active Lifestyle are completely safe. No one will be punching you! You will be working on hitting pads ONLY with your qualified instructor and trainer - NOT other people participating in the class. Everything is provided for you. (Water, towels, boxing gear etc). All you need to do is wear some comfortable clothes. Fill in the form below and we will get back to you ASAP and find a time when you can come in and enjoy your free boxing training session. Spots are limited as all our training sessions are limited to just 4 people so don't miss out. It is time to get started! Fill in the details below or ring Amber on 0212689278. We are located at 40 Mt Eden Road, Auckland. We have car parking behind the building off Harold Street.